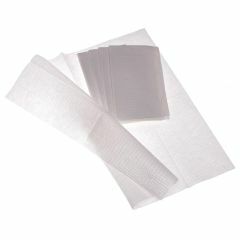 AllegroMedical.com presents The 2-Ply Tissue/Poly Professional Towels. These tissue/poly-backed towels catch fluid and hold it, making them ideal for washing, wiping or draping. Available in a wide range of colors, they combine durability with disposability. Professional towels double as dental bibs.